Lenovo is well-known for its Yoga line of Windows 10 2-in-1s but like any respected firm, the Chinese technology company isn’t content to rest on its laurels. Over on the iF World Design Guide website, Lenovo is showcasing a new 2-in-1 it’s calling the Blade. While most commonly associated with Razer’s line of gaming laptops, Lenovo’s Blade is a 2-in-1 tablet-style device with an integrated, multi-purpose cover. As Liliputing highlights, the cover is used to protect the device’s screen when not in use. When you want to use the Blade, the cover folds back behind the machine – out of sight, out of mind. If you want to prop the device up and watch Netflix, the integrated cover can serve as a kickstand of sorts. 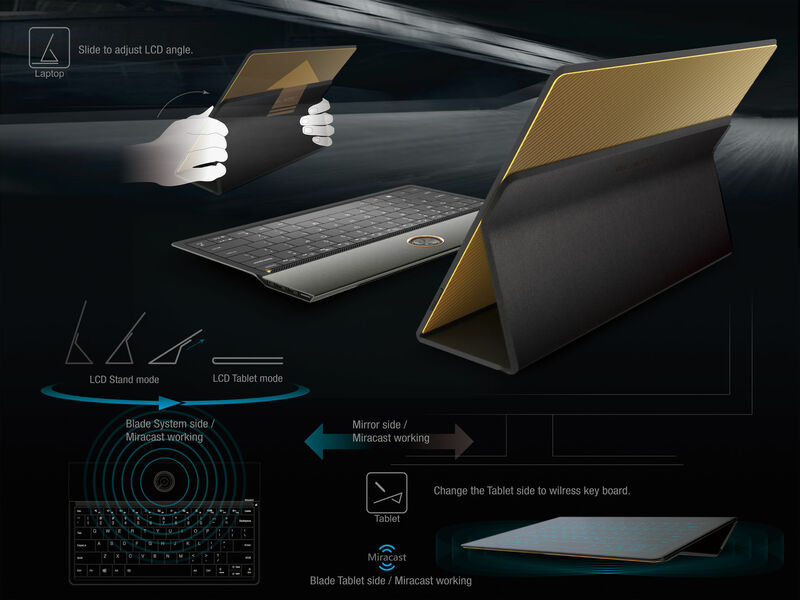 There’s also a detachable keyboard that connects to the tablet via magnets. Or, using Miracast technology and the integrated cover, you can position and use the tablet itself as a wireless keyboard in conjunction with an external display. Details are a bit scarce, unfortunately; it’s unclear if the primary guts of the Blade are housed within the tablet / display or the keyboard dock. It is possible that both components could contain processing hardware although that might be overkill (unless maybe the tablet doubles as an Android device?). Again, not much is known about the Blade at this hour. Is Lenovo intending to bring this to market sometime or is it little more than a concept? I’ll reach out to Lenovo for comment and report back on what I hear.